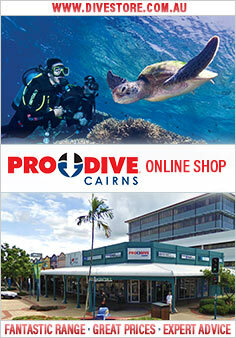 You may be interested in Learn to Dive or Referral courses, and introductory dives on day trips or live aboards. You may be interested in Advanced Open Water courses, and certified dives on day trips or live aboards. You may be interested in Rescue Diver or Divemaster courses, and certified dives on day trips or live aboards. Regardless of skill level, you should be in good physical condition (which will be determined by a Dive Medical) and know your limitations. If you are uncertain as to your own level of expertise, just ask an instructor's opinion. Ultimately, you must decide if you are capable of making a particular dive, depending on your level of training, recent experience and physical condition, as well as water conditions at the site. If you are a Certified Diver all dive operators in Australia need to sight your "C" Card (Certification Card) or qualification papers prior to diving. If you do not have it with you, you will not be able to dive. If you have misplaced, lost or had yours stolen please replace it prior to arriving. Click here If you need to replace your card or documents.